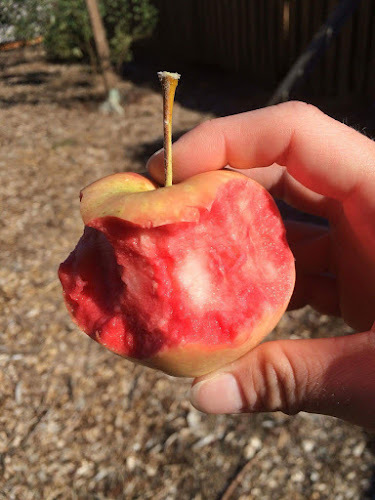 My Home and Garden: Early Pink Lady. The most beautiful apple ever!! Early Pink Lady. The most beautiful apple ever!! Early Pink Lady!!! Is this the most beautiful apple you have ever seen!! It is as delicious as it is beautiful. It was gone within a minute of this photo being taken. I will definitely be making fruit plates using this apple. 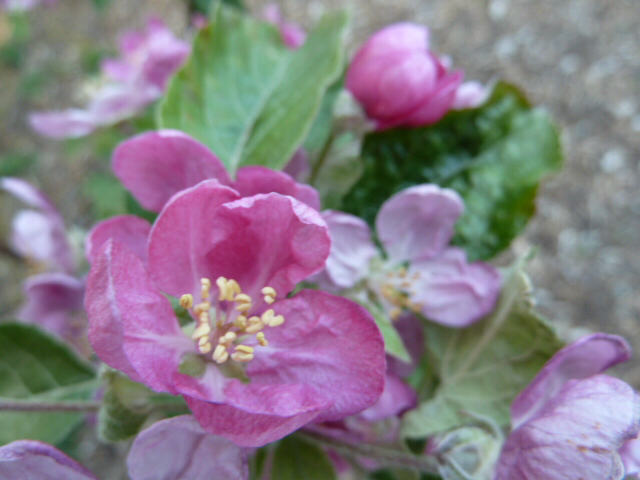 And this is what the apple blossoms looked like. Virginia Creeper cuttings. Thank you Mom. We have a Citrus House!!! !